Provost Vincent Price, Vice Provost for Education Andrew Binns, the Council of Undergraduate Deans and the Office of New Student Orientation and Academic Initiatives are pleased to announce the Year of Discovery as the Academic Theme Year for 2015-2016, and The Big Sea by Langston Hughes as the Penn Reading Project for 2015. 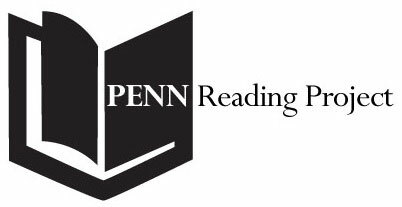 This year is the 25th anniversary of the Penn Reading Project (PRP), which was created as an introduction for incoming freshmen to academic life at Penn. On the afternoon of Monday, August 24, 2015, the entire freshmen class will gather in small groups with Penn faculty and senior academic administrators for a discussion of The Big Sea. Prior to the small group discussions, students will write an essay on the book; all PRP participants will also take part in a morning presentation on The Big Sea and its themes. Published in 1940, when Hughes was 38 years old and already among America’s most celebrated poets, The Big Sea is an elegantly structured memoir (in short essays) of his early experiences, and a chronicle of his self-realization and invention. Hughes explores his early life, growing up in an African-American family in the Midwest; later, he would travel extensively to Mexico, France and Africa where his sense of identity would be questioned, formed and redefined. 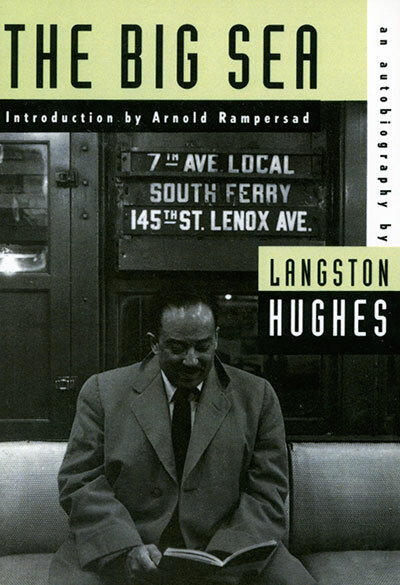 Throughout the book, Hughes’ personal discoveries are set in broader contexts, including the extraordinary world of the Harlem Renaissance, in which he was one of the primary creative artists. The Big Sea and the Penn Reading Project will open the Year of Discovery, devoted to exploring the theme of discovery across many areas of inquiry. Discoveries can be personal or more wide-ranging, the result of planned research toward an expected goal, or more spontaneous and serendipitous. Small discoveries occur every day; larger ones may take centuries. Discovery itself is a vital part of the human experience and of the collective processes of education and intellectual growth. The PRP text should be an outstanding work that will form the basis for a lively discussion. PRP texts can be fiction or nonfiction, historical or contemporary. They can also be films, musical compositions and other works of art. When you submit your suggested text, tell us why you think it will make a good PRP—and also suggest a theme year topic that arises from it. These topics should be broad in scope (e.g. Year of Discovery, Year of Proof, Year of Sound) and encourage interdisciplinary exploration across all Penn Schools and centers. Submissions can be made at any time and will be reviewed by a nomination committee as they are submitted. For priority consideration for 2016-2017, submissions should be made by April 10, 2015. Contact David Fox, director of New Student Orientation and Academic Initiatives, University of Pennsylvania, at dfox@upenn.edu or (215) 573-5636.